Learn the fundamentals of rock and alpine climbing with Chemeketans! Join us each spring for two evening sessions and one full weekend of training and skill-building. The 2019 Climb School classroom sessions will be held on the evenings of April 3rd & 10th; the full weekend field sessions will be April 13th & 14th. 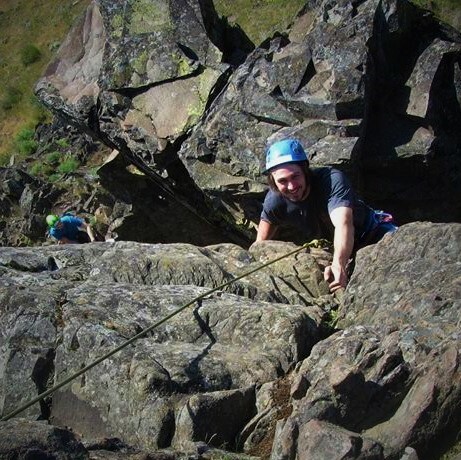 Climb School is a great introduction to basic mountaineering and rock climbing skills. A successful completion of Climb School offers the opportunity to join club climbs year after year, as well as more advanced training. To register, see the Event Registration link at the end of the page. Chemeketans have offered climb school for decades and, though we are not a guide service, our leadership and members have many years of climbing and outdoor experience. We pride ourselves on promoting mountaineering safety and sharing our knowledge about climbing with all involved with the program. All leaders and assistants are volunteers who are passionate about climbing. Climb School introduces students to the basic rock and snow skills necessary to participate safely on club climbs, as well as the physical and mental requirements for being a safe and proficient climber. 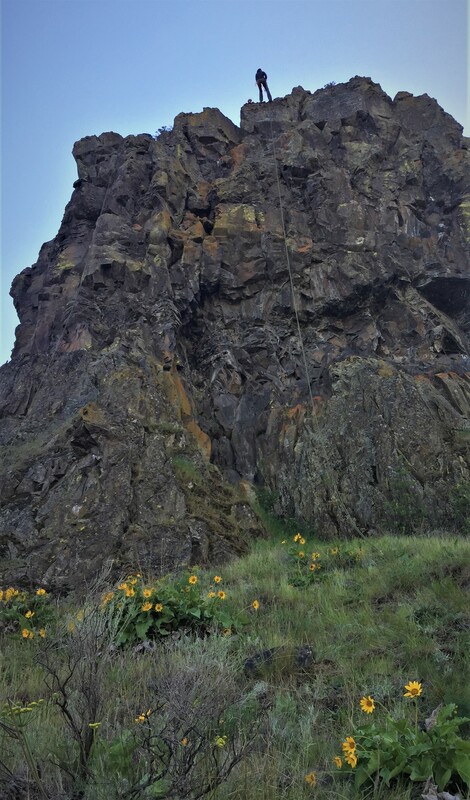 Though no previous climbing experience is necessary, be aware that climbing is STRENUOUS and participants should be in good physical condition. Climb School classes are currently limited to 45 students to allow for high rates of individual focus from helpers and leaders. Climb School students must be at least 16 years old by April 13th 2019. Each Climb School student under 18 years of age must be accompanied by a responsible adult--parent or guardian--who is a paid Climb School participant and must stay with the younger participant throughout the field and classroom sessions. Climb School offers both classroom and field sessions. Through lecture as well as hands on breakout sessions, the classroom activities focus on presentations of climbing gear, risk elements, fitness and nutrition, knot practice, SNACKS! !, communication and ratings, field session logistics, as well as who we are and how to climb more with us. 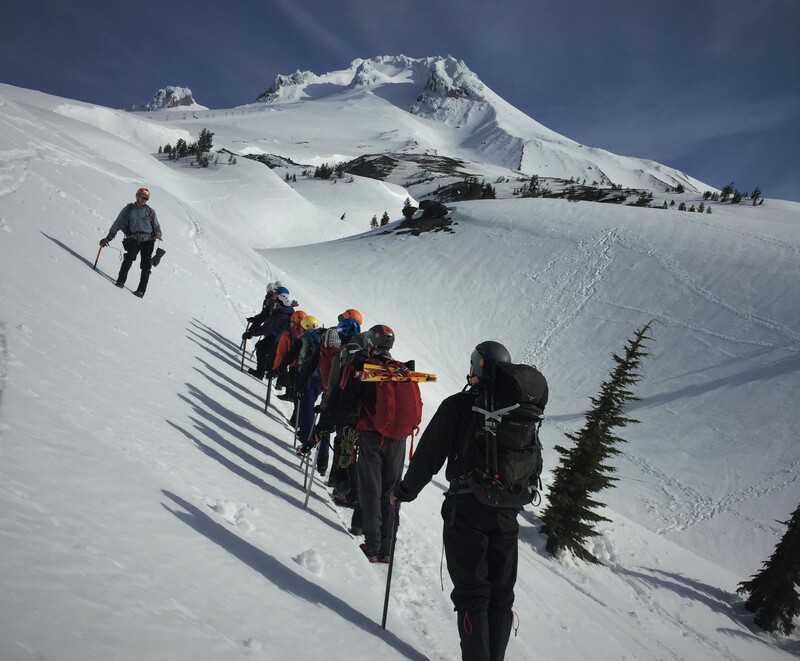 The field sessions introduce students to basic skills such as belaying, rappelling, self-arrest with an ice axe, moving safely on exposed rock, and roped team travel in a safe, skilled and supportive environment. Classroom Sessions are scheduled for April 3rd & 10th at Pringle Community Hall in Salem. Doors open at 5pm with class beginning shortly after. Students must attend both classroom sessions to complete the course. Field Sessions are scheduled for the weekend of April 13th & 14th. 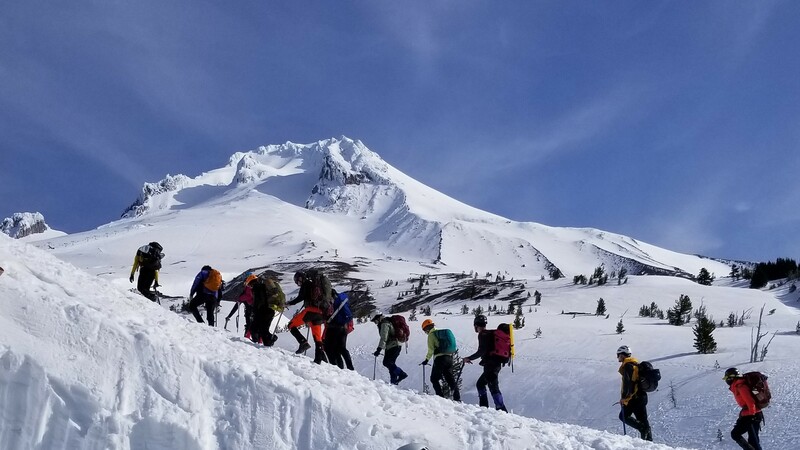 These two days are devoted to rock climbing practice at Horsethief Butte on Saturday and snow skills near Timberline at Mt. Hood on Sunday. Horsethief Butte is on the Washington side of the Columbia River across from The Dalles, Oregon. We'll be camping Saturday night at Horsethief Lake campground near Horsethief Butte and eating as a group at Spooky's Pizza in The Dalles. Climb School fees include camping at Horsethief Lake Park and the Saturday night dinner at Spooky's. Students are responsible for their own breakfast and lunch both field session days, as well as transportation and parking. Carpooling is strongly encouraged. A helmet and ice axe may be rented from local outdoor stores for about $20-40 for the weekend or borrowed. An approved climbing harness may purchased for $30-$100, or borrowed from a trustworthy source. The club itself does NOT rent gear. We will be providing some guidance on appropriate gear and recommend waiting until after the first class before making any purchases. 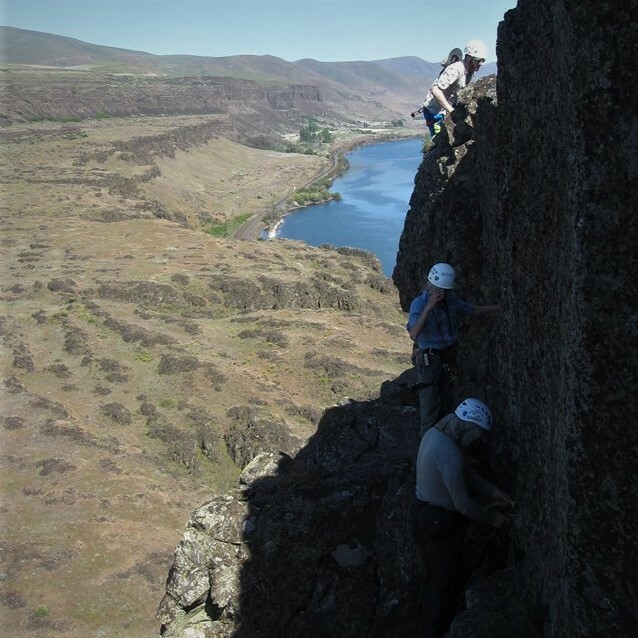 Registration for Climb School begins December 15th. These registration fees cover attendance at classroom and field sessions, a handbook, prusik cords to be used during Climb School, the costs of camping and a buffet dinner during the weekend field session. In addition to course fees, students will be expected to pay for parking during the weekend field session, and acquire (purchase, rent, or borrow) the required equipment and gear to safely participate.